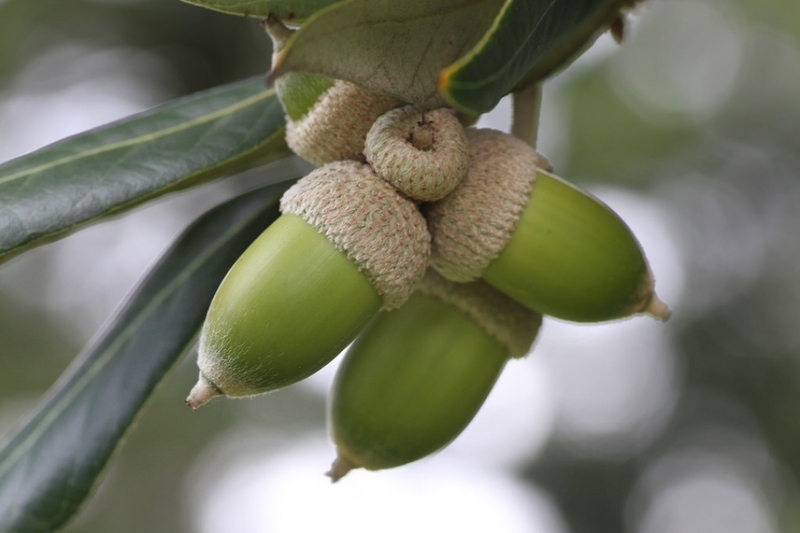 Holm oak (Quercus ilex): growing, planting, caring. Large evergreen oak native to the Mediterranean region. Full description for Quercus ilex not yet available. 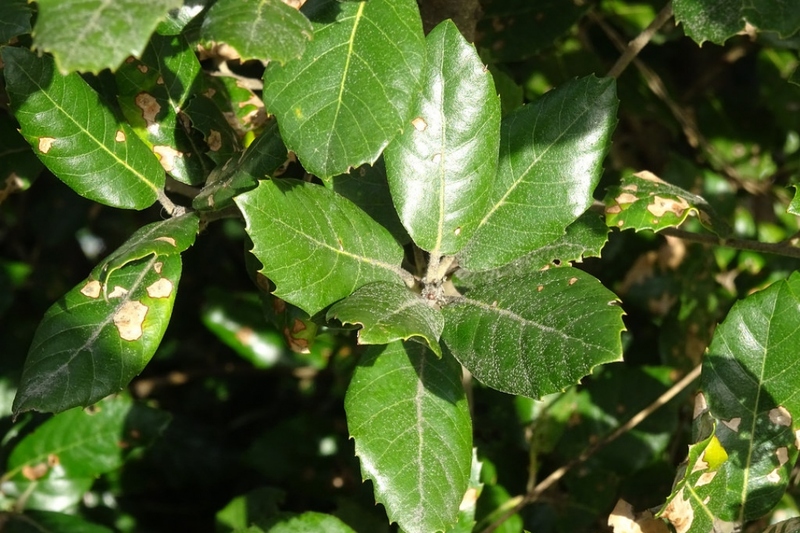 Its leaves are evergreen, small, whole with a grayish back, and it has smooth and gray bark. Need to confirm it is an oak? There should be acorns nearby. Plant your holm oak in deep soil, fresh in full sun. Plant preferably in winter, in bare roots or in mound. Dig a hole deep enough, twice as large as the root ball, without mixing the layers of the soil. Plant a solid stake at the bottom of the hole, on the edge, inclined to the prevailing winds. Cut the root hair - the fine roots that looks like hair - to balance the volume of roots and foliage. Plant without burying the boundary between trunk and roots of the tree, putting the soil layers in the same order you removed them. Tamp the soil around the roots with your foot, so you do not leave a pocket of air, and attach the stake to the trunk with a suitable extensible link. Form a hollow in the soil and water abundantly until you fill it. Potted: You must provide your oak a large bin. Place a drainage layer at the bottom - type gravel - that you will cover with a mixture of soil, compost and sand. Place the bin in full light in a location sheltered from the wind. Water regularly and generously for several weeks after planting. After, you only have to worry about watering in case of drought during the first summer, or if it's in a pot. In order for your oak tree to form a trunk, it will be necessary to prune the low branches - below two meters at the end of winter after a year or two. Afterward, do not touch it anymore except to remove entangled branches. To help the oaks, it is better to limit the competition of grass at their base. Mulch it with dry leaves and shredded branches. Renew once or twice a year.